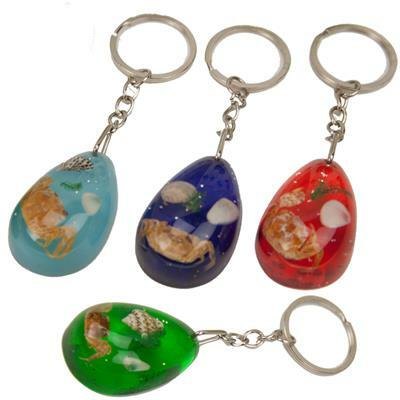 Small seashells and a tiny crab embedded in an acylic fob. 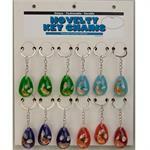 Teardrop shape fob measures 1" x 1-1/2" and is 5/8" thick. 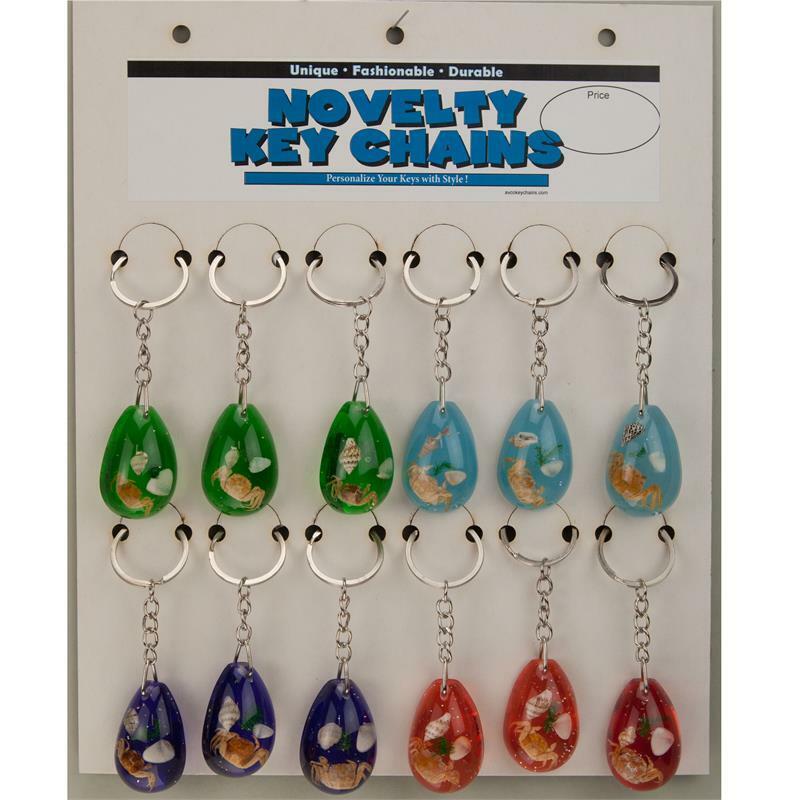 Overall length with attached ring and chain is 4"